On the positive side, the window is about as full as it can be all the time which is awesome on my small screen and even better when connected to a larger monitor. Â There’s no status bar on the bottom of the window, but when you hover over something that can be clicked on, you can see where it will go just like you know you can. Â There are some slick overlays for downloads and completed downloads stick to the bottom of the window to remind you they are ready to be acted upon. Â When things crash or go bad, only that tab seems to be effected and Chrome is able to save the state of things quite gracefully. Â In my limited testing this afternoon, I’d say it does a much better job that Firefox 3 currently. Â Not bad for a .2 release. In general though Chrome is very smooth, very stable and really well done. Â I’m looking forward to the fixes further optimizations and hopefully some plugins. Â Of course I’d also like to install this on my Mac! While they’ve only teased at this point, I would expect Chrome to be the browser in Android when it launches later this year. 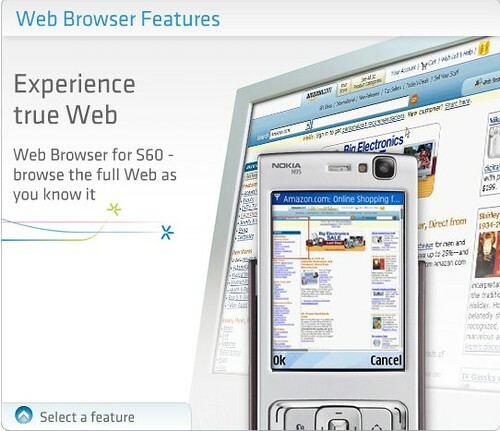 Â We’ve already seen the power of webkit in mobile devices – first in the S60 browser and then of course with the iPhone. Â Webkit has become the engine to beat (sorry Opera) in higher end mobile browsing. Â My guess is that it will sync via some Google service and I hope that multiple computers will also sync eventually as well…. Google killed the Firefox sync extension recently and it seems quite clear now that those bits are being focused on their own developments. Â It’s great that Chrome is open source and I hope Nokia is watching closely to see how they can improve their own S60 webkit browser as it’s clearly stagnated a bit since Apple came along with Mobile Safari. Yes I know the iPhone has no keyboard, so let’s just put that to the side…. There are however plenty of other devices that can take advantage of the excellent work that’s been done on the updated mobile UI which do have keyboards … like the Nokia N810 which runs a Mozilla browser and the N95 which has the S60 Webkit browser. The more I’ve used the latest Google Reader the more it’s clear that a very wide array of devices could be using this and why not add just a bit more functionality to enhance it that much more. I’m thinking the N810 could probably get this going through a greasemonkey script … Anyone up to the challenge? What’s happening with the S60 browser? I just caught a post in my reader, which is a bit alarming and rather disappointing if true. There has not been a checkin to the S60 port in over 8 monthsâ€¦ As far as I can tell, the port is deadâ€¦ Does anyone know the status of the port? If the port is in fact dead, I would like to suggest that we tag (with some keyword, or component) all of the remaining S60 bugs and close them. As I think back to the Mobile World Congress briefings and hands on time I had with the upcoming Nokia handsets, I don’t actually recall seeing anything new or different in the browser. I even saw some FP2 things, but nothing around the browser than would make you think there’s anything new to expect on that froont. I am sitting on a plane en route to the Web 2.0 Summit writing this on my N800, enjoying my time to write some things wihout distraction… aside from the guy in 11B reading this over my shoulder! About two weeks ago, Tommi at the S60 Applications blog asked for feedback on the Nokia Beta Labs program. My initial thought is that it’s really a solid idea which enables the feedback loop via the blogosphere and certainly on the applications blog comments. I posted something similarly on Tommi’s site but now that some time has passed it seems that perhaps the focus could be on altering the existing status more rather than pushing out the new. Don’t get me wrong – I’m an applications junkie just like most of you, but I would like to see some renovation before building more. When I attended the Evening with S60 event in NYC, I was told (incorrectly now) that the S60v3 FP1 browser would be released within 30 days to other S60v3 devices which was great news. I saw a massive spike in traffic after my update on this news which confirmed I was far from alone in looking for this type of update. Nokia, with the exception of Maps, seems to require a new unit to get what become device standard features (of course right after you) purchase your phone. Of course, a long time has now passed and we’ve yet to see a release. Instead, we heard about the widgets which will be coming in FP2 probably in Q1 2008. Not to take away from widgets (I think I’ve seen the light a bit for very task specific information), the browser now seems a bit limited in one very key area thanks to some healthy competition from both the iPhone as well as Nokia’s own N800 . The iPhone has enabled a VERY rich use of tabs which make maintaining simultaneous activities online possible. 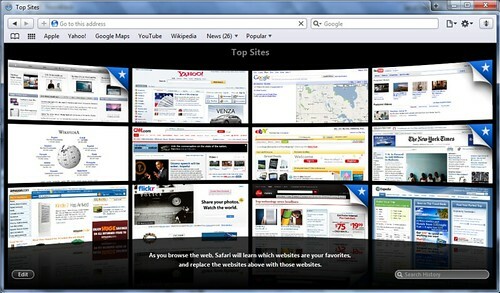 The S60 browser can also do multiple tabs and actually does them quite well. There is NO WAY TO MANUALLY OPEN A NEW WINDOW. The hack I’ve found for this is silly, and takes longer than I would like to get going, but has now become a part of my browsing process on the N95-3. You first have to set the window preference to allow pop-ups. This will allow ads to pop up or under … no way around that I know. Once you have a second, third or even fourth window open, you can press 5 to see your tabs and then using the nav key move either left or right to select which site you want. Pressing the center key selects and opens a more full view. From the tabbed view, you can use the left soft key to see th options for tabs which let you close either the current or all other tabs you have open. The browser is the perfect candidate for a quick beta release through the labs. Many devices do not have enough RAM to browse in this manner (yet) and it’s probably more power user than mass feature, but isn’t that who’s visting and using the beta labs anyway? We should not have to wait for a Firmware release (which we all know wipes the device fresh) or worse, a new device to get such aseemingly small adjustment. This really should be something we just have in devices like the N95-3, N95 8GB, N81, N81 8GB, E90 and as well as future devicess that have enough operating RAM to make this possible – which should cover all N and E-Series moving forward, right? The iPhone has really turned the mobile browsing experience up on its head. Regardless of their true capabilities, all mobile devices are being compared to the iPhone. The fact that the same engine is used in S60 and the iPhone makes this even more open to scrutiny. The N800, which does not share the webkit engine, can go toe-to-toe with the iPhone even defeating it with some complex sites, but requires a second purchase. This is great for both Nokia’s bottom line (as well as non Nokia handset users) It is admittedly far more enjoyable to browse on the larger screen, it’s not something you always want in your pocket. A device like the N95-3 should not be hamstrung by a missing feature like this. The game has changed a bit now and we need to look how others are doing things and what can be learned to improve what we have and what’s to come. As good as it is to have all your bookmarks with you on the iPhone I wish Safari had some of the other features you have on the desktop. I’d really like to have some form management so it was easier to save logins and I’d like to see my keychain sync – or parts of it anyway that were relative to the browser. I suppose if we get an OTA sync and share function with Leopard as has been rumored we may be able to save logins to servers and other systems if that’s a device capability. For now, stronger management of my personal data would be most excellent. I took a look at the browsing experience on the iPhone and compared it to the Nokia N95 as well as the Nokia N800 Internet Tablet. In general, the iPhone and N800 are much closer experiences, though having used both I’m leaning towards the iPhone. The N800 is definitely still robust for handling your browsing needs – especially with the addition of Flash 9 support, but my preference is for how Safari handles things over Opera. So yes I am completely seduced by the iPhone. I’ve rationalized and justified it to myself. At minimum, it’s an iconic consumer electronics / mobile moment, but it’s more than likely to actually be a killer device. I want one! Where are the extensions for Safari 3? The update for the Safari 3 beta has been out for a week now yet none of the extensions seem to be updated to work with it yet. Since I’m not a developer, I can’t tell how much has changed under the hood, but from my eyes things seem similar enough… I’m not even thinking about Windows support at this time – just the existing Mac tools. Google Gears for Webkit — Let’s get it going on S60! While it’s not even possible to run Google Gears on Safari for OSX since it’s not in the release version, we should collectively be thinking about how to get this into S60 devices which also use the Webkit engine in the browser. I’m sure Apple will be figuring out a way to get it into the iPhone. With a bit of development time, and a firmware update and we should be able to activate offline browsing and other tricks on our multimedia computers… While we are on the topic, I’d really like to see this implemented on the Linux end for the N800 as well within Minimo or perhaps even the rumored Firefox for Nokia Tablets I’ve heard some rumblings about. Have you heard about Google Gears? It’s an extension to your favorite web browser and a new open source project from Google. It adds support for local data storage and helps web application developers manage resources so you can make your web application work offline. It is currently available for Linux, Windows, and Macintosh platforms and you can learn more at http://gears.google.com. I got a chance to work on this product for WebKit, which is the render engine Safari is based on, and we’re happy to announce that the source code is available to all Mac developers today. Since Google Gears is leveraging the latest technology from WebKit, it is currently not compatible with the shipping versions of Safari (Mac OS X 10.4.x and 419.x). So, if you want to play with Google Gears for WebKit, you’ll have to download a recent WebKit build from http://nightly.webkit.org. An interesting title I suppose… but a particular issue with the fantastic Symbian browser is that it is greets web servers as a full – not mobile browser. While this feature lets you browse the full page of sites – something I really like – it also prevents you from being able to login to the mobile version of a site or service automatically. I suppose it would be easy enough to pick off the Symbian bit in order to redirect you to the appropriate mobile URL, but I’ve yet to find anyone who’s doing this. Instead you need to know that you’ll need the mobile URL in advance. SurfRabbit is a pretty slick browser add-on for Safari, NetNewsWire and Shiira (all webKit) which works in a similar way to Greasemonkey does. You can create and share hacks to sites that enable them to work better for you. I’ve just installed it and find that it seems to work as expected without issue. I really like being able to clean up pages like News.com full articles which I tend to read many times a day. There are about 20 page tweaks currently in the system, though I suspect many more will follow. Safari can’t open the page “https://enteryoursitehere.com” because the network connection was reset, which sometimes occurs when the server is busy. You might be able to open the page later. I am seeing this way too often. Trying to get an eBook, a piece of software and dealing with a credit card.. all today. Firefox does not have any issues with the same sites or pages. I totally love AcidSearch, which is a very handy search extension for Safari allowing me to use A9, or switch quickly to Froogle among many other searches all within the main search bar. Seems though that 10.3.9, which was released tonight is not supported and neither will Tiger when it arrives shortly. Have to say I hate when that happens. I was unable to even launch Safari after the update which was starting to freak me out since webkit was working in NetNewsWire. I thought of anything I had installed recently and disabled or deleted, but no dice. A quick trip to the console (always forget that handy tool) led me right to AcidSearch. Find… delete… Safari is back. I think a lot of people are going to finally get RSS when this hits next year… too bad Tiger is so far away!